Here’s a top tip, though. Make a reservation, and you can breeze past the crowds. Don’t forget to channel the graceful spirit of Princess Di, offering a bashful, apologetic smile as you sidestep the queue, which may collectively raise a frozen finger or two in what you could opt to interpret as a “salute” to your clever forethought. 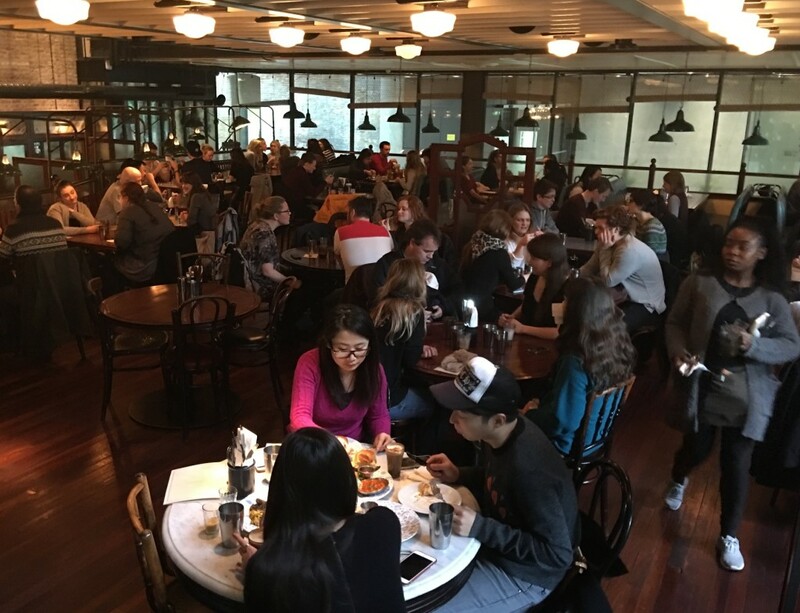 Despite being situated over three levels in an old warehouse near King’s Cross station, nearly every table is filled. It’s a convivial zoo of heaving, hungry, chewing, slurping humanity. Needless to say, I was in my element. Fortunately, efficient kitchen staff are well-equipped to handle the crowds. Our food certainly arrived speedily: a bacon naan roll for him, stuffed with dry-cured savoury goodness from the Ginger Pig–and the Big Bombay for me. And when they say “big,” they mean HUGE. 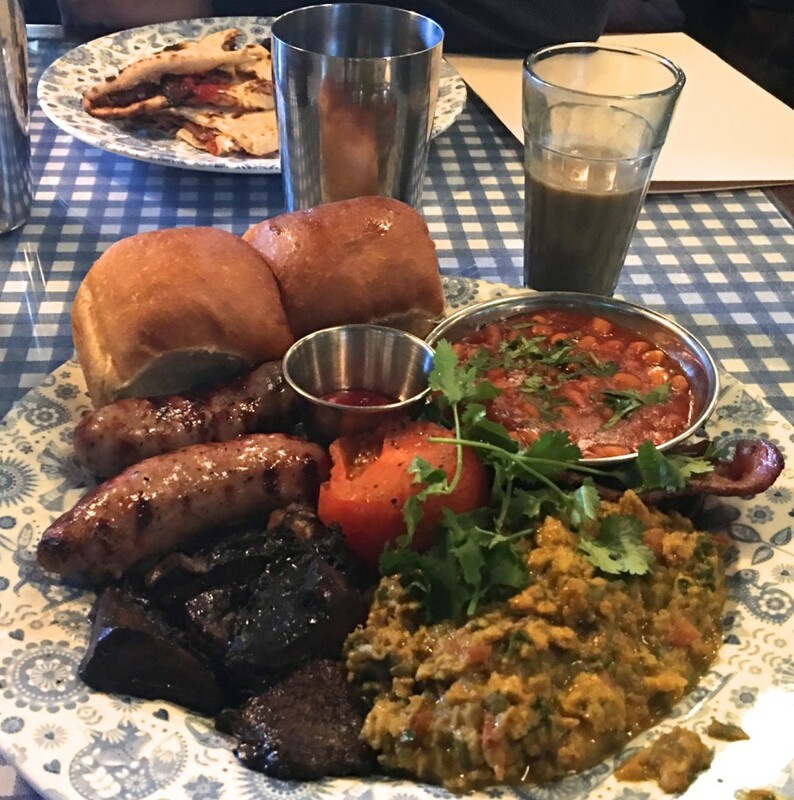 This is the Indian equivalent of the full English breakfast, with akuri (spicy scrambled eggs), smoked streaky bacon, Shropshire smoked sausages, masala baked beans, grilled field mushrooms, a grilled tomato, and bodacious, booty-padding buttered pau buns. Need a little, um, digestif to pack that all down? No problem. There’s a bar in the basement. 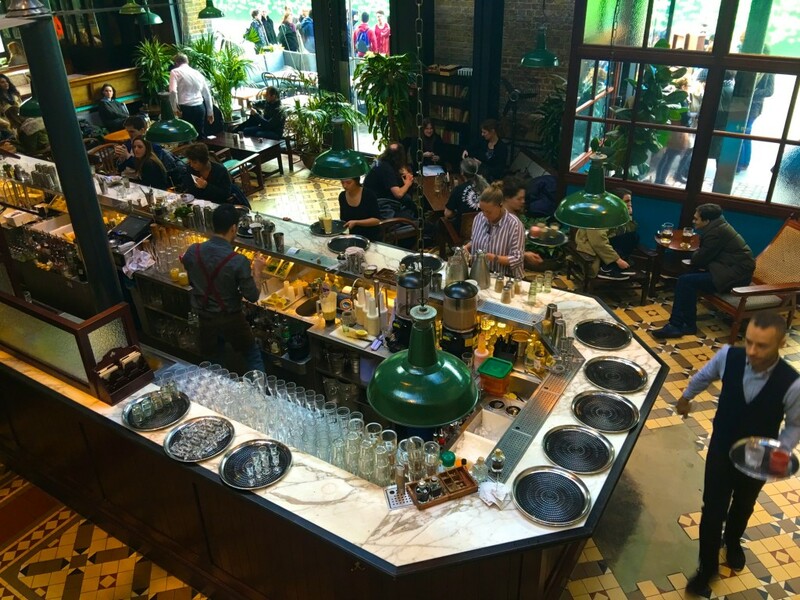 Dishoom’s bar. Hey, it’s five o’clock somewhere in the world. The only rule is “dig in and enjoy.” Oh wait…it turns out there are a few more. 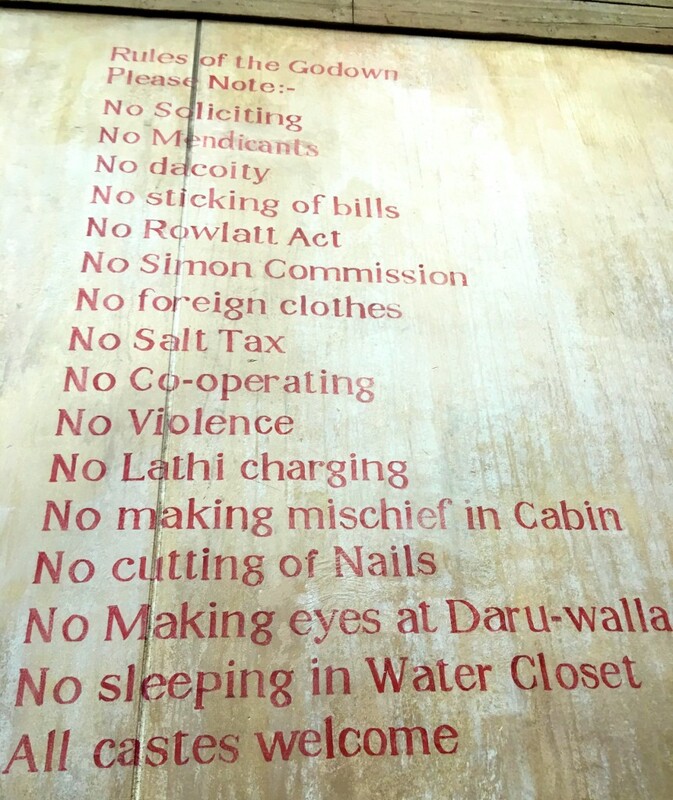 Under no circumstances should you cut your nails at the table, and “making eyes” at Daru-walla is right out. But, you know, other than that, make yourself at home–and don’t forget to book ahead. 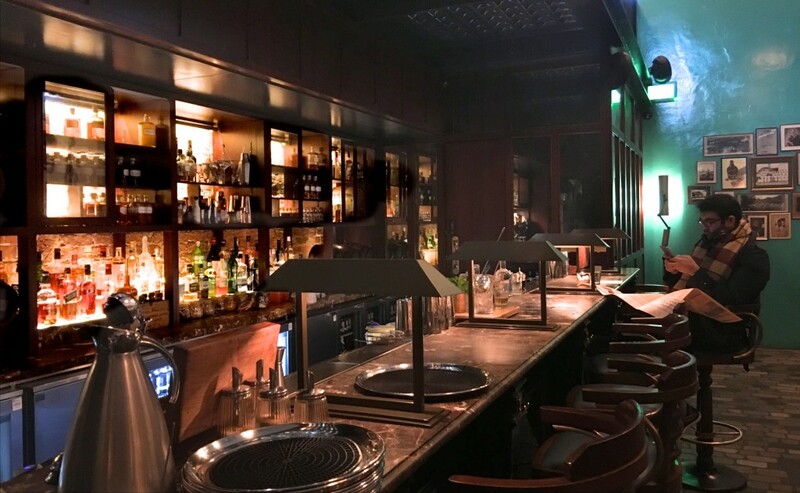 Although Dishoom only takes reservations for parties of six or more after 5:45 PM, they will reserve a table for any size party for breakfast or lunch. Now, that’s a reason to get out of bed in the morning, innit?